Upgrading to an electric recliner chair is an exciting time. A good recliner should be comfortable to sit on, easy to operate and make you feel secure during the various position changes available. It’s no surprise that comfort is what many of us look for in a recliner. 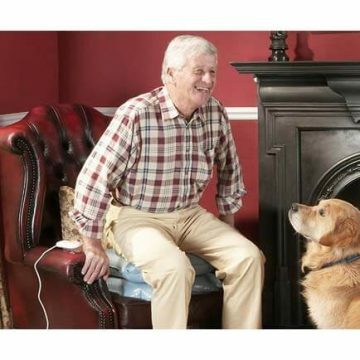 Many manufactures offer high-quality padding material with excellent high back support which go a long way in reducing the aches and pains associated with lengthy periods of sitting. 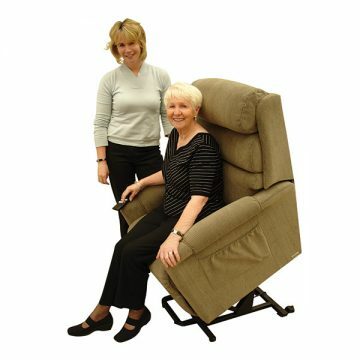 Not all recliners include the Lift/Standing position but it’s worth having if standing from a sitting position is a struggle for you. 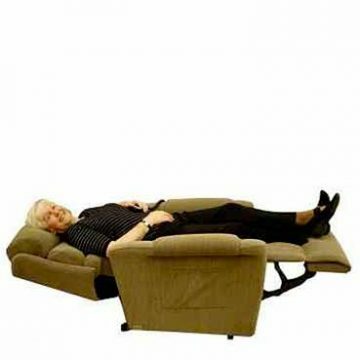 The speed at which a chair moves through each position is worth considering as all recliners do vary. Some chairs may have a recline that is far too slow and likely to irritate you over time. 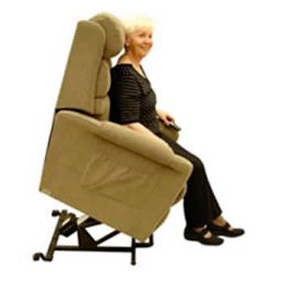 Other chairs however may be too fast moving into a standing lift position – your safety should be your prime concern. If the issue is not the chair’s comfort but your difficulty in standing from a sitting position, there are alternatives. The Mangar Raiser inflatable cushion is a popular choice. Inflatable cushions like this use an air compressor that gently raise the occupant into a standing position. This is a great solution for those wishing to keep their favourite chair. 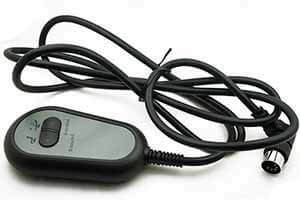 Electric recliners will come equipped with a remote control. 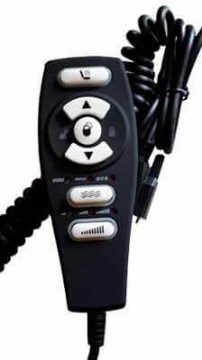 The layout should be simple with buttons that are light to touch and can control all positions the chair has to offer. 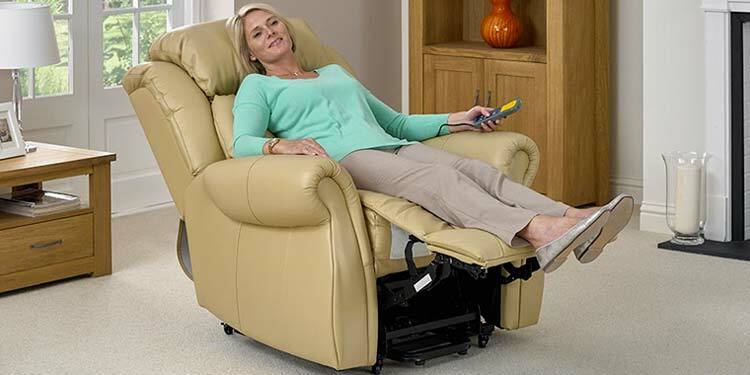 In the unlikely event of a power outage, most electric recliners will have backup batteries that allow the chair to move into a safe sitting position. Models like Topform’s Ashley series use 2 x 9V batteries to give you 1-2 emergency uses. It’s a good idea to replace these batteries annually and a good tip is to do this at the same time you’d normally replace the batteries in your smoke detector. Most brands give you a huge range of fabrics and colours to choose from. This is great news if you’d like your recliner to fit in with the rest of the furniture in your living space. 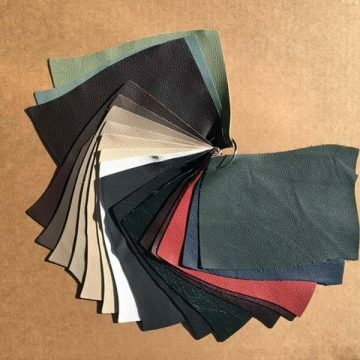 Some manufacturers will even go as far as letting you use your own custom colour for the fabric, leather or vinyl. The popular materials are fabric and leather however it comes entirely down to personal taste. If you’re not sure it may be a good idea to try a few out before making your decision. Vinyl is another material used and a great choice for added surface protection. Ideal for incontinent users, liquid spillages can be quickly wiped clean with no fuss, providing a chair that’s ready to use again in seconds. Australian owned manufacturers who have a good reputation when it comes to their furniture are worth noting. Many are family owned and have been around for generations, still producing high-quality chairs from Australian sourced materials – Garstone and Topform are good examples. 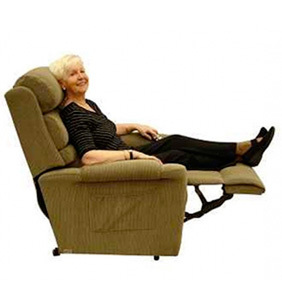 Reading product and customer reviews can go a long way to help make a decision about which recliner is worth buying. That being said, what you need out of a recliner may be different to the needs of somebody else. 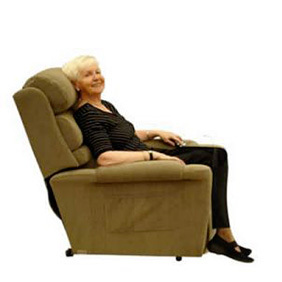 Every recliner will vary between levels of comfort and the ease of operation. Apart from what’s mentioned above, the best way to truly know is to sit in one and try it out for yourself. 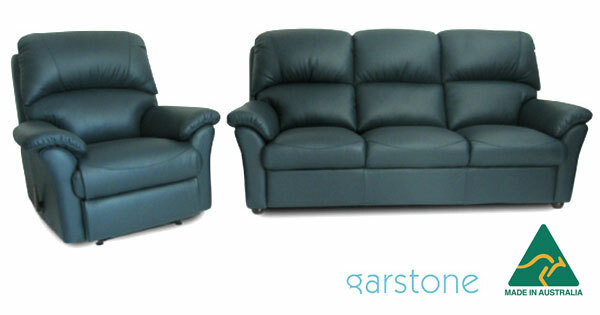 If you’d like further information, please call us on (03) 9568 8383 or view our recliner chairs.